Latest Blog Post: The Trailer is Done! DJP is a video production company specializing in producing, shooting, and streaming multi-camera live video for conferences, conventions, concerts, sporting, school, community, and all other types of events in Northern Utah. Your event is recorded live and can be streamed to the Internet to any popular video site. We also do fully-produced corporate videos, television commercials, and music videos as well. We are a one-stop solution, fully capable of handling the whole process from concept to script writing and storyboarding, to lighting, audio, editing, coloring, and photography, all the way through to final editing and coloring at a high-end level. Our crew members have decades of experience. We go beyond expectations to make sure you get the best quality possible. We take care of everything required to shoot a professional video. Live production means that your video is being fully produced while the event is happening, usually involving switching between multiple cameras. This video can then be shared via projectors at a venue, Internet streaming, or recorded for later distribution. Because the video is effectively being edited on-the-spot, you don't have to wait weeks or days for a finished product. It's like live TV, but with your content, under your direction and control. The high cost of video equipment has always been a big reason that video production has been expensive, but as with all technology, today professional quality equipment costs a fraction of what it used to. Just like how a $500 smartphone today shoots better quality video than a $50,000 camera did 20 years ago, every type of video production gear today costs less and is far better than what was available even a few years ago. Yet video production companies haven't adapted. It takes companies like DJP to shake things up and provide top-level service at substantial savings to our customers. Most video production companies limit themselves to 1080i or lower resolution video. 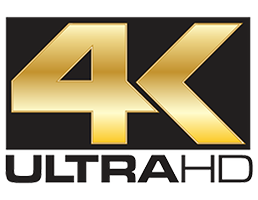 We shoot 1080p Full HD standard, with 4K Ultra HD as an optional upgrade. And the finished product can usually be delivered to you minutes after an event is over. No more waiting weeks for an editor! 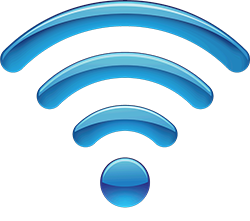 In addition to making an extremely high quality recording, we can also stream events live out to YouTube, Facebook, UStream, Wowza and most other sites, publicly or privately, in up to 1080p resolution, even in many locations where high-speed Internet access isn't normally available by using cellular links. Two reasons: passion and value. First, we are just as passionate about producing a top-quality video as you are. The DJP crew is fully invested in making sure that we do the absolute best job that we can. Reports from customers and employees of other video production companies would indicate that apathy tends to be the norm elsewhere in the industry. We don't do apathy! Second is value. Even though we do top-shelf work, we don't charge top-shelf rates. The company is designed from top to bottom to keep costs low and give you the best bang-for-the-buck. Our rates are a fraction of those of our competitors, without making compromises. Often it isn't practical or even possible for everyone who wants to see a game, concert, or conference to travel. Streaming over the Internet allows you to increase the size of your audience, and drastically reduce or eliminate travel and accommodation costs. Anyone you want to allow in the world can tune in and watch in real-time in very high quality. While the up-front cost of hiring individual camera operators and editing later to shoot an event may be appear to be lower than hiring a live production crew, the reality is that it is not. The cost of hiring a post-production editor easily surpasses that of having a director and the proper live switching equipment on-site during an event. And a simple camera crew can't stream multiple cameras to the Internet live or deliver a finished video on the same day as your event. Having a director on-site in constant communication with you and our crew also means that camera operators can be directed on what shot to get and when. No more guessing about which camera operator is going to catch the action -- the director is there coordinating and making sure that everything is covered. When you shoot without someone directing camera operators, or good communication equipment, something is bound to be missed. We cover all types of events, but we have a few in which we specialize.